How do you go about showing rigor on the homeschool transcript? Many colleges want to know what the level of academic rigor, challenge or dedication that your homeschool high schoolers employed on their core courses. After all, if teen knocked out a killer American Literature credit, while another teen just barely scraped by with the minimum for a credit how is a college admissions officer supposed to know which was which. If it was your homeschool high schooler with the killer Am Lit, you’d sure WANT that officer to know your kid’s hard work! So how on earth do you showing rigor on the homeschool transcript? 1.Be honest. Don’t inflate. Just report clearly the awesomeness of your teen’s work. 2. Document. Keep documentation as a backup for all your courses, but especially for those “leveled up” courses that had more rigor. 4. Also record the level earned as part of the course title. For instance, my son earned: Honors American Literature, Level 5. Check this post on levels and this on do’s and don’t’s for more detail. 6. Remember: Unless otherwise specified, most high school textbooks are a College-Prep level. You can add special activities and log hours for the leveling up to Advanced or Honors- keep documentation. 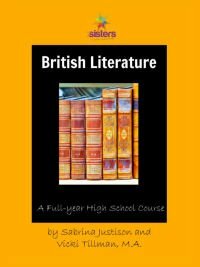 Here’s a post on creating an honors-level British Literature. 7. All 7SistersHomeschool.com comes with instructions for leveling up (and sometimes even leveling down for special learners)! It makes it easy to adapt to all the different kinds of learners in your homeschool! Previous Post: Have Some FUN! Join Us for The Homeschool Highschool Podcast!